These eczema gloves for kids and toddlers are super soft - made from biodegradable bamboo, they will prevent children from scratching their eczema or psoriasis. 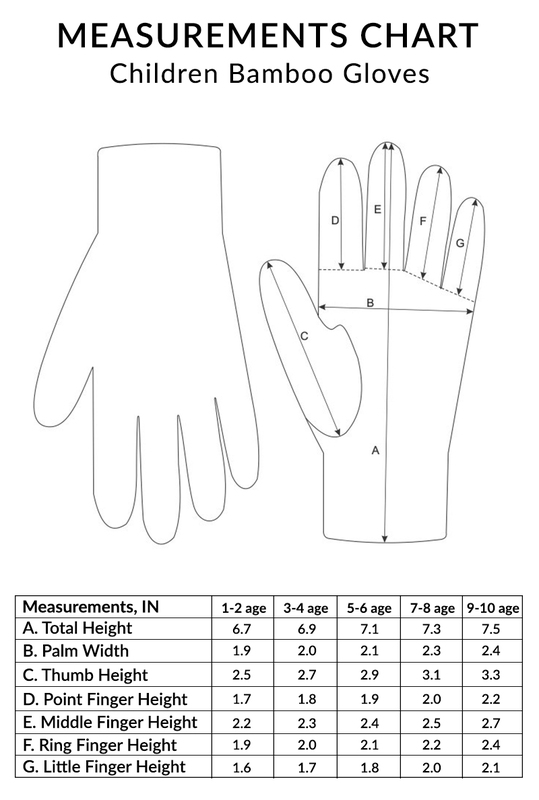 Use these cooling bamboo gloves after applying cream to your child's hands to lock in moisture at night. Or use them to prevent contact dermatitis on the hands. Perfect for dry or wet wrap therapy or for protecting itchy skin from scratching while playing or sleeping. Works well for kids with eczema, psoriasis, allergic contact dermatitis, and dermatomyositis. Won't stretch out like ordinary cotton gloves. One package contains one pair of gloves. Please note, children's eczema gloves should fit snugly. If you need a larger size, we also carry Eczema Gloves for Adults. If dealing with Pompholyx or dyshidrotic eczema, we recommend trying EczeHerbal Pompholyx Eczema Cream along with the gloves. 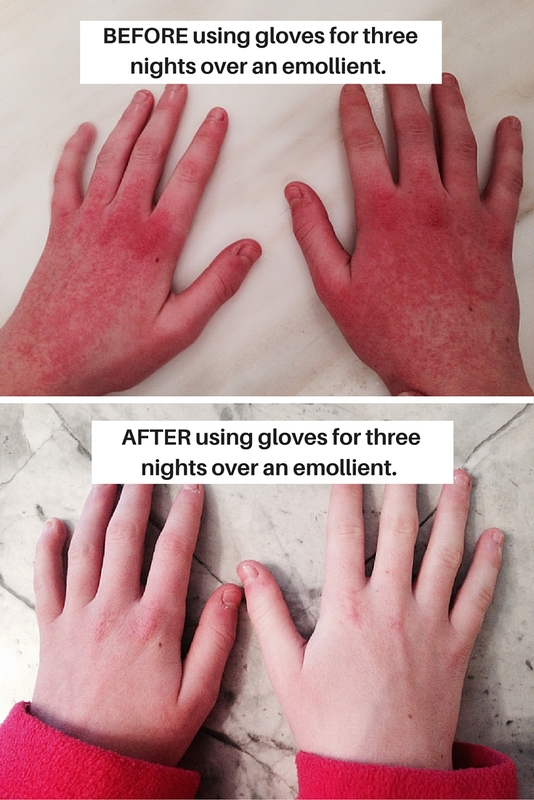 Also, be sure to check out our Remedywear Kids Gloves for Eczema made with TENCEL and zinc. Machine wash cold preferably or warm (never hot) on a gentle cycle. For best results, hand wash or use a gentle wash with a delicates mesh bag and wash inside out. Lay flat to dry. Do not place them in a dryer.